Since preventing people from flying may not be considered a reasonable solution for reducing gas emissions by many travellers, scientists and researchers need to find a more technical solution that makes long-distance transportation more environmentally friendly. It is logical to consider whether the same energy source that successfully powers electrical vehicles—namely, batteries— could be used to power airplanes. As we’ve covered numerous times on engineering.com, lifting an airplane into the sky requires a massive amount of energy expended over a short period of time, posing a considerable challenge for battery designers. Besides the required huge capacity, the battery needs to have an extremely high electric discharge rate. This is not attainable with battery types currently available. Researchers from MIT have found an innovative battery solution, with a significantly increased dischargerate that could potentially lift an airplane into flight. The battery operation would be aided by a magnetic field that forces the lithium ions to travel through electrodes by using straight paths. Increasing the dischargerate means finding away for the ions and electrons to flow more easily through the battery’s electrode. Making the electrodes more porous or thinner is not a solution for this application because high energy density is also required. The innovative solution speeds up the ions and electrons by straightening the twisting paths through the electrodes.This is done by implementing the magnetic nanoparticles into electrode material. By using a light external magnetic field,directional pore arrays inside the electrodes are created, reducing tortuosity of the pores. This approach results in electrodes that have a triple value of area capacity under constant current discharge profile (>12 mAh/cm2 compared with <4 mAh/cm2 in case of conventional electrodes, e.g., lithium cobalt oxide [LCoO2]). In the case of aircraft application, the dynamic discharge profile is more important because of the requested high discharge rate during the liftoff of the aircraft. Tests performed in this profile have shown that capacity value is above 8 mAh/cm2,which is two times greater than the highest areal capacity of standard Li-ion batteries under this condition. The discharging process of this battery type starts with disbanding the magnetic nanoparticles inside an electrode suspension. The magnetic material is basically sacrificed and will be eliminated at a later stage. But before the magnetic nanoparticles are eliminated, the external magnetic field will straighten the electrode’s pathways, creating the an isotropic ordering of the pore channels within the material. 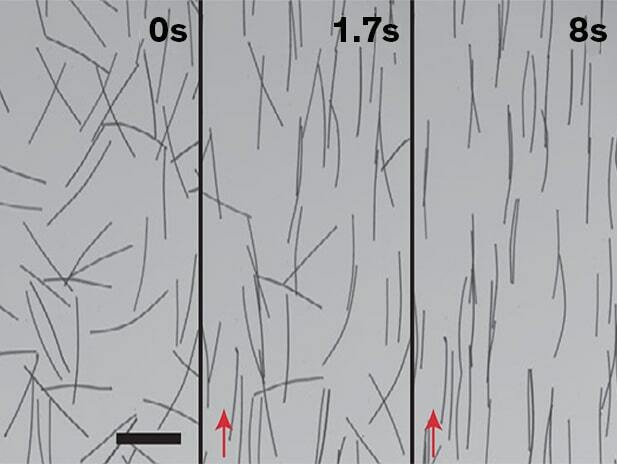 Two different approaches can be used for creating this innovative process: the field-induced orientation of magnetic microrods and the field-induced chaining of magnetic emulsion droplets. These processes are described in the article “High-performance battery electrodes via magnetic templating”(J. S. Sander, R. M. Erb, L. Li, A. Gurijala and Y.M. Chiang), which was published in the journal Nature Energy. Video courtesy of MIT researcher Jonathan Sander. 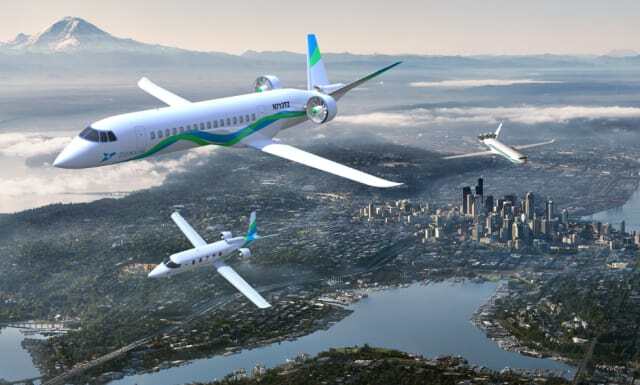 The researchers initially plan to develop a battery that could supply a small airplane for up to 12 passengers with a travel distance of 400 miles. In the next project phase, they hope to develop the solution for a larger-sized airplane (MIT technology review). The airplane would not use the fuel as its primary source of energy but is still required to carry some in reserve due to U.S. Federal Aviation Administration safety requirements. The battery must be able to provide a huge amount of power during the airplane takeoff, when a massive amount of the heating is generated. Also, the long-lasting feature of the battery is important since an airplane requires enough energy to cruise during flight. In terms of the airplane’s construction, the battery must be lightweight. This is a considerable challenge because batteries are at least 20 times heavier than fuel for an equivalent amount of energy output (Aeronautical University’s Eagle Flight Research Center). The airplane will probably need to be redesigned to reduce its energy demands.